ReddSoft | Free Download Saints Row IV Game of the Century Edition Repack Full - Saints Row IV Game of the Century Edition ini merupakan game bertema third person dengan latar belakang Amerika Serikat. Dimana misi di dalam game ini adalah untuk menyelamatkan bumi. Didalam game ini kamu dapat menggunakan berbagai macam senjata, mulai dari senjata yang sering ditemui pada setiap permainan video game, hingga senjata-senjata aneh yang sama sekali belum pernah kamu temui sebelumnya. The American (Fever) Dream – Play as the President of the United States in a story that spans countries, space, and time. Saints Row IV is to Saints Row: The Third what Saints Row: The Third is to Do The Right Thing. You're not ready. Custom Weapons, Custom Mayhem – You've customized your character. You've customized your clothes. Now you can complete the look with our all new weapon customization system. Turn traditional weapons into exotic conversation pieces! 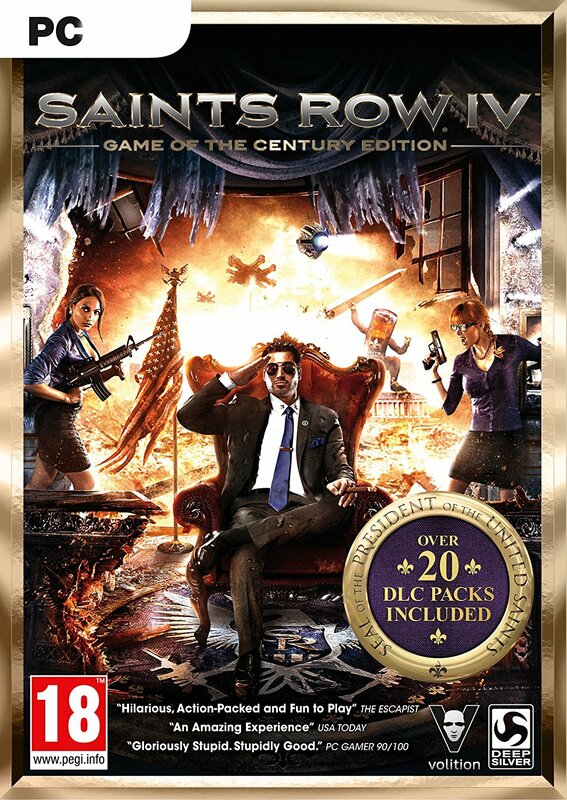 0 Response to "Saints Row IV Game of the Century Edition Repack Full [Free Download]"